The Ministry of Education, Sport and Culture is the government ministry in charge of the education sector. It aims for a quality holistic education system that recognizes and realizes the spiritual, cultural, intellectual and physical potential of all participants, enabling them to make fulfilling life choices. There are eight years of compulsory education starting at the age of five. Primary school comprises six years and secondary seven, with cycles of two and five years.The government began to introduce free education in 2009. As well as state schools, there are several faith schools. Some 90 per cent of pupils complete primary school (2011). The school year starts in February. The principal tertiary institution within the country is the National University of Samoa, which was established in Apia in 1984. 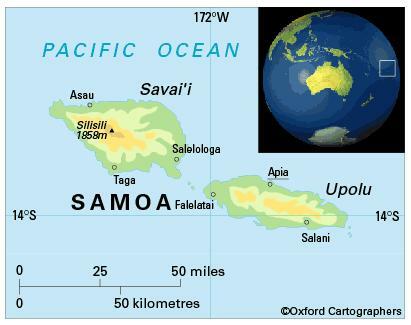 Samoa was one of the founders of the regional University of the South Pacific, which has its main campus in Suva, Fiji, and the Alafua Campus in Apia, Samoa, where the university’s Samoa Centre, School of Agriculture and Food Technology, and Institute for Research, Extension and Training in Agriculture are located. The Alafua Campus was established as the university’s agricultural campus in 1977. The USP Samoa Centre relocated from Malifa, where it had been launched in 1976, to the Alafua Campus in 1998. Illiteracy among people aged 15-24 is virtually non-existent (2012).